Poetry is acknowledged as one of the most important and vital expressions of Portu- guese Culture. A thousand years ago, the western coast ofthe Iberian Peninsula was the end of the world , the Finis Terra, as the Romans saw it. It was at the edge with unknown that the Portuguese nation and its culture flourished. TOWARDS NEW EMOTIONS According to an ancient oriental aphorism " a picture worths a thousand words". By another side, its known that portuguese people are latins par excellence, exuberants in their senses expresion. So what to say and how to react to the amazing power of a moment such the one of "EMOTIONS"? A sight, just the first one, and a whirl of feelings to whom no on gets free. Afterwards, what more to appreciate - but the tone, grabbed from the canvas of the most sensitive painter to the slendest curvineal notches line, or, simply, the serenety of the nature-element? To publish and make use of "EMOTIONS" its first of all for the reader, and particullary to the Oeiras cityzens, an invitation to pleasure, to invasion, to dream and, who knows - the new meeting with every places, that the daily routine doesnt allows to enjoy in full. When mans hand hits with Nature, its time to say that "ITS WORTHWHILE". Oeiras has the privilege of propritiate and to make public images like this one, after all one of the reasons why "OEIRAS IS WORTHWHILE". VISIT US! 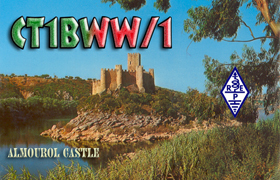 OEIRAS is located about 15 Kms west of Lisbon this is my QTH at Estremadura Province, this is a important place on the "Sunny coast of Portugal" between Estoril coast and Sintra two important places of Tourism. Near the westernmost point in continental of Europe. 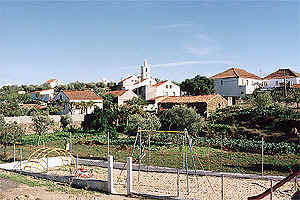 With 150.000 habitants Oeiras is divided by 9 administrative locations are: Oeiras, Paço DArcos, Porto Salvo, Barcarena Queijas, Cruz-Quebrada, Linda-a-Velha, Carnaxide em Algés. In this county you can find Lighthouses and Coast Fortresses. The Atlantic is a sea that has been sailed for thousand years. Throughout the centuries is constituted a strange reality for European man. For this reason, the voyage of the Portuguese, Spanish and Italian discoverers in the 15th century are of special significance, not only because of the technological and cultural innovations but also for the profound alterations to Europeean man's concept of the ocean. For this reason, te ptoject of the History of the Atlantic Ocean was set into motion and this will be the first step commemorating the Millennium of the Atlantic, within the scope of the 5 th centenary of the Voyage of Pedro Álvares Cabral. "OEIRAS COUNTY, WITH TWO CENTURIES OF HISTORY, NICE PLACE FOR LIVING, NICE PLACE FOR VISITING"
At gates of XXI century and over past more than ten years of good progress, looking backwards, is visible the effort development and the deep changes operated in Oeiras county structure and morphology. Nowadays world of constant change, dominated for the tip technologies and whereit foments the competitiveness. The dynamic life will change the future. necessities and urgency surgem. The ideia for the future of Oeiras is launched. Is about the ideia of a County for century XXI, for the new MILLENIUM, that will take for all a good future, worthy, human, envolved, where it has been and it will continue to be good for living, where it will be good for finishing the days and that it will tomorrow give the guarantee of a bright for the new generations. Oeiras will be present through the Portuguese representation to the JIDX Contest 2000 (International Competition of Japan) competing of the category of teams (Multi) as follows: Manuel Alberto C. Marques (European Champion in the singular category of 14MhzL in 1998 and 1999 and António Pedro C. Silva, CT1DGK the Portuguese team will be present with the special callsign CQ2K effect (CQ2000). Our deepest recognition to Câmara Municipal deOeiras, ICP-Instituto das Comunicações de Portugal, Rede dos Emissores Portugueses and all friends from Japan and all over the world. Here is LAGOS where is my 3rd QTH on ALGARVE PROVINCE, This Town is one of the most beautiful places in Algarve.
" LAGOS IS ONE OF THE BEST TOURISTIC DESTINATIONS IN THE WORLD." The millions of clients of the British tour operator net Thompson consider this area of the Algarve as one of the 10 best touristic and holiday destinations. 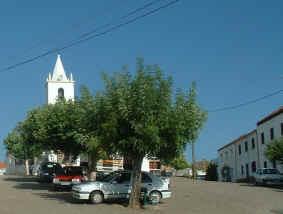 The town as already been distinguished with the "Gold Award for Summer 2000". When the arabs from Morocco ruled the Algarve this was their capital city. Parts of the spectacular city walls date from those times. Later the massive square towers and the fort on the avenida were added to defend against Spain. It was from this port that the ancient mariners set out to discover the coasts of Africa, South America and the route to Asia. It was not for glory or science that those men sailed small ships beyond the edge of the known world. Trade made Portugal rich, and no trade richer than that in slaves. Today Lagos ancient slave market displays nothing more sinister than art and sculpture. the town's hey-day was undoubtedly from 1420 to 1460 when Henry the Navigator stalked its waterfront and prayed in its churches. It remained a busy place until Sebastian's debacle in Morocco. From then on it went into decline and was reduced to little more than a backwater fishing harbour. Because of its bayside location and its proximity to lovely bathing beaches, it was a natural attraction for tourists once the tourist boom got underway. The latest major addition is the big yacht marina at the most sheltered end of the harbour. Lagos, with its relaxed atmosphere and quiet charm, make it one of the most appealing locations in the Algarve to visitors from abroad. The best places to sit and watch people go by are at the open-air cafés in Praça da República, next to the tourist information office. The best selection of restaurants is concentrated in the pedestrians-only Rua 25 de Abril. There is a choice of camp-sites and of a number of beaches of various sizes on the edge and outskirts of town. 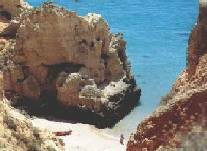 Dona Ana Beach is the most popular family beach, but there are smaller sandy coves to be explored both closer and farther away from the town centre. 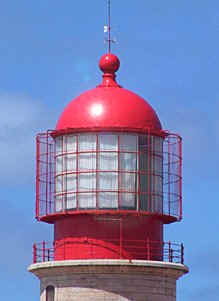 The headland of Ponta da Piedada with its lighthouse is best viewed from the sea on a short boat trip. The clifftop is a good place to take a stroll with your camera and marvel at cliff erosion. LAGOS is the most historically interesting coastal town in the Algarve. Its fame derives from its association with Portugal's 14th-and 15th-century Age of Discovery. It was here that Henry the Navigator had his vessels built and victualled for the voyages of exploration down the coast of West Africa which utimately led to the sea route past the Cape of Good Hope to India. One of the most formidable milestones in the quest for a sea passage to the Orient was Cape Bojador, a headland on the bulge of Africa which struck terror in the hearts of medieval seafarers. It was an awesome promontory because of the myths and legend surrounding it, and because of the very real and treacherous winds and currents which made it difficult for sailing ships of the day to both round it and return. The first European captain to accomplish this was Gil Eanes, Lagos' most famous son. He did so in 1495 at the behest of Henry the Navigator after many others had failed. Both Henry and Gil Eanes are commemorated with statues. Henry presides over the Praça da República. Gil Eanes is in front of the town walls a little farther along to the west. 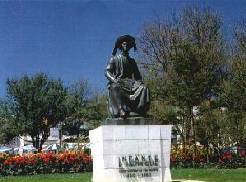 The town's third statue is of the boy-king, Sebastião, who precipitated the demise of the Aviz dynasty in the 16th century by sailing from Lagos to a disasterous defeat in Morocco. Although the subject of many a rude remark, Sebastian's statue in Largo Gil Eanes is by the highly-respected Portuguese sculptor, João Cutileiro. Just before they set sail, Sebastian, then aged 21, is said to have given a final pep-talk to his troops from a small Manueline-style window, which you can see, fairly high up, in a corner of the town walls just to the left of Henry's statue. Like the window, the first market in Europe to auction slaves brought back from Africa by Henry's explorers also looks rather forlorn and unexciting nowadays. You will find the slave market (mercado dos escravos), now a little art gallery, in the far corner of Praça da República. 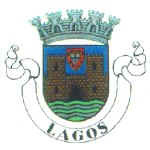 The walls came tumbling down along with all the other buildings in Lagos with the great earthquake of 1755. Among those which were rebuilt and have since undergone renovation are the Church of Santa Maria with 16th-century traces, the 17th-century regimental storehouse next to it, and the mind-blowing "golden" Church of Santo António which forms part of Lagos' rather eccentric museum. 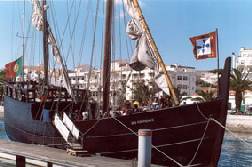 - This caravel is a replica of the 15th century Portuguese Discoveries Caravels. 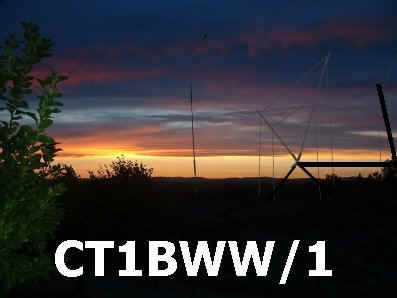 It was recently purchased by the Algarve Turism Board. 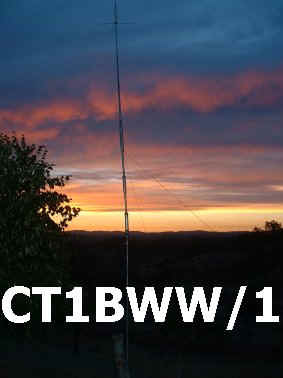 This is my 2nd QTH , at BEIRA BAIXA PROVINCE when i operate CT1BWW/1 i'm here near the mountains and where NATURE is true. Here is the correct place for tranquility, for good food . People from Beira Baixa are very hospitable.